For a repetitive task (without ptp connection) it is required to execute a short script (script1) and after that script has finished wait approximately 3 seconds prior to executing a second short script (script2) before repeating the cycle. Even better would be an on camera scheduler that, after setup, was assigned to a button which loaded/started script1 and done that for script2 a set period later. CHDK currently does not provide a way to do this. Is there any reason you can't combine the scripts? It occurs to me it should be relatively simple to make a Lua script that reads the script header and/or loads saved CHDK script parameters. This would make running menu scripts a lot simpler. You might be able to do something tricky using set_config_value to set the selected script (so script A runs, sets the current script to script B, next time you press the shutter in alt B runs...), but IMO combining the scripts would generally be a much better plan. but IMO combining the scripts would generally be a much better plan. Probably - i'll have another look. Something that I briefly looked at but haven't finished is adding the ability to specify a separate "startup" script. Something that can run each time the camera starts that still leaves the ability to select different "currently selected" scripts like we have now. 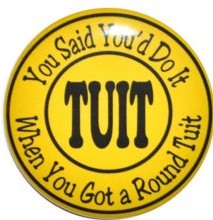 One more roundtuit on "the list". Edit : Yes, there is a scripting only way to accomplish this. Technically I could add a call to get_autostart( ) to every one of my scripts, see if the script was running on startup vs normally, and insert startup code into every script. Brute force and not something I'd want to maintain.